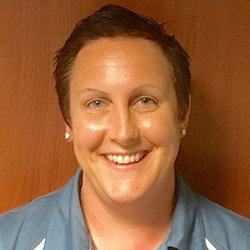 Physiotherapist Christine Hutchinson breaks down the physiotherapy experience to give you an idea of what to expect from treatment. If you’ve never had physiotherapy before, or if you have had a bad experience in the past, it can be daunting to take that first step through the door. You might be concerned about what’s in store: Will it hurt? Will it even work? Could it do more harm than good? Rest assured that done properly physiotherapy is a very collaborative form of treatment, and you’ll be part of the process every step of the way. So what happens during a physiotherapy session? Your physiotherapy sessions last between 45 minutes and an hour. What they comprise of will depend entirely on the information that you give the physiotherapist and the progress that you make. The bulk of your first session will be a discussion to find out about you and your condition. This part of the session is called the ‘subjective assessment’. Origin of the condition: How long have you had the condition for, how did it start, was it an accident or injury or long-term strain? Have you already seen a practitioner? What makes it better, what makes it worse? What are your work and hobbies (which might be impacted by injury). Your physiotherapist will also take your medical history to check if your current condition could link to an existing condition. Collating all of this information is important because it will ensure that the advice the physiotherapist gives you is safe and will help to devise a hypothesis for the injury. It will also help to you both to determine your goals and expectations for treatment. The next step in this first appointment is to physically assess your injury, this is known as the ‘objective assessment’. At this point you will be asked to perform a series of movements which will help to demonstrate where you may have stiffness or discomfort. This assessment helps to confirm the injury hypothesis made in the subjective assessment. The combination of these two assessments will help to rule out anything more worrying, or give the physiotherapist grounds to refer you to an expert. If there is time at the end of this session you may be given some treatment, or exercises for you to do at home. Your physiotherapist will explain what the aim of this treatment is, and what you should hope to achieve from it. If you have exercises to do, they will show you how to do them and give you an information sheet to guide you when you’re doing them at home. And, if you were given exercises, how you have found them. 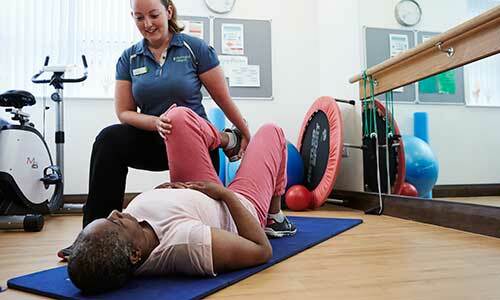 Your physiotherapist will conduct another objective assessment, checking for any changes since the last appointment. If you were given treatment at your first appointment the physiotherapist will use this assessment to determine if this needs to be changed. If you were given exercises, for example, these may be progressed or changed depending on the results. If you weren’t given any treatment or actions in the first session, you will be in the second. You’ll be instructed what to do and sent an email or given a printout to support you when you're at home. 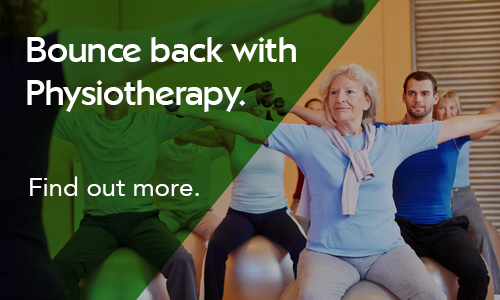 Your physiotherapist will re-assess your condition during each session and you will decide together whether you need a follow up appointment, are safe to continue treatment yourself or are recovered. The time in-between sessions will reflect the condition itself. If you need a follow-up session this usually won’t be the next week, in order to give you time to make improvements. As you improve throughout treatment you may be given additional exercises to do, or you may be able to stop them altogether. You won’t be discharged from treatment until you are confident that you can either continue treatment on your own, or have recovered from your injury. Recovery from some conditions, such as ACL surgery, will take a long time, but with most conditions people find that they are able to finish physiotherapy treatment in five sessions or less. 1. The most important thing is to communicate during the sessions. It’s important to inform your physiotherapist fully, and to listen to their advice. 2. Be active in your treatment – ensure that you are disciplined about doing the exercises and actions as prescribed. It’s like ensuring you take your medication, if you don’t take it, you won’t get better. 3. Use common sense and listen to your body. If it starts to hurt too much, it’s your body telling you you’ve gone too far.